Would it be possible to use an LM13700 for the Transc. op-amps and some kind of transistor pair for the Exponential function converter? I am trying to breadboard this filter but I am stuck on the converter. Does any one know a simple Anti log function generator circuit? I found this(see pic) but I am not sure if this one is the correct one to use here. I think the one in the picture is a Lin/log converter. I think I need a log/lin converter. I am not sure how to do that. 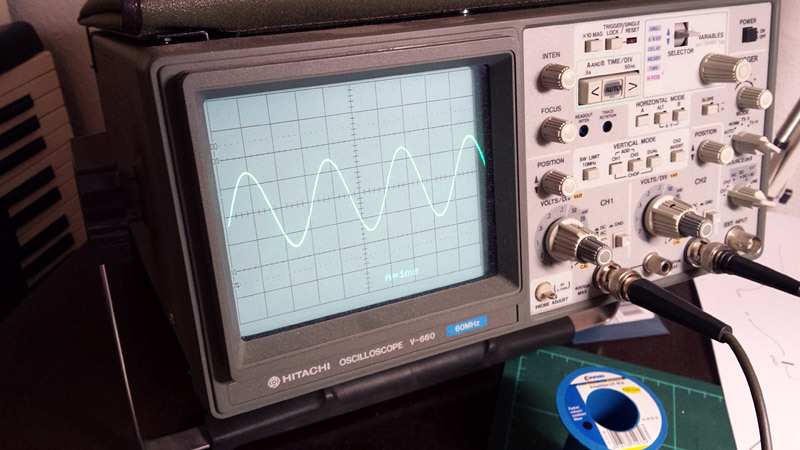 Here is an update to help you build a roland sh101 type of filter. These guys did the hard part of figuring out what the resistor values are to replace the BA obsolete chip with Discrete components: http://mutable-instruments.net/shruthi1/build/smr4mkII. There is a schematic at there website. Hey not sure if you're on the SDIY facebook group. But I have done it and yes, it is totally possible. I have some real IR3109s and with advice from guys on the SDIY mailing list I figured out the internal resistor values between the gain cells non-inverting inputs and ground as 432 ohms. For the expo converter I used the standard Thomas Henry current source type. The thing I haven't figured out is the buffers between the gain cells. 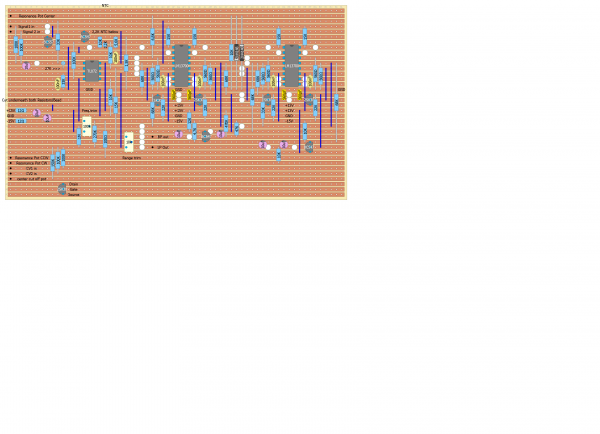 I used a TL072 in my circuit but next im going to try a FET as it's what Roland preffered to use. it shows the filter of the JP4. It was discrete originally and then in later versions they used the ir3109. It's extremely similar to the JP-4 VCF... Sounds and performs great. Is the expo converter from Roland Service Notes working? it's for +15v, that's right? I'm not aware of the calculation here, but has anyone a schematic for -/+12v or an explication note? any idea how it's original behaviour is? does it cover a wider range of frequencies in self oscillation? did you pay attention to the FET pinouts? Have soldered the FET according to the SK30 data sheet i found at my suppliers pages. 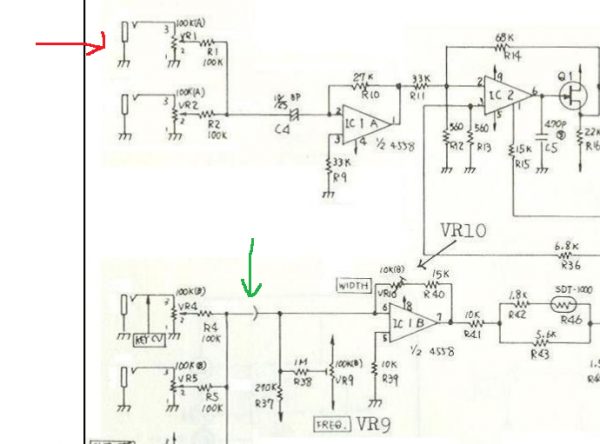 and when i read the original schematic correct, then there is the gate connected to the Output of the OTA the source to +15V and the drain goes to the next stage and -15V via resistor. correct? Wasn't there something about 2N3819 Fet's where sometimes the Pins where swapped? 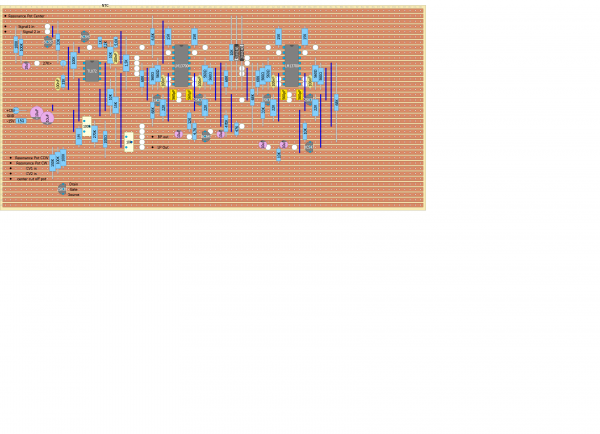 i've attached a simple program called DIY layout creator. tried googling for another Version and downloaded... that one runs but i think it's way to complicated to draw that all with this program..
you need to open it as admin. meaning, right click on the icon, and go to "Run as Administrator"
sorry again, i forgot about it. this is great, thank you very much!!! what scheme did you use for this layout? just figured out the Pins of the LM13700 vs Ba662 and then going for it..
Another Q please, how did you match the FETS? thanks to Roglok for providing the link to the wonderful Roland SH 101 filter revision by Frequency Central. 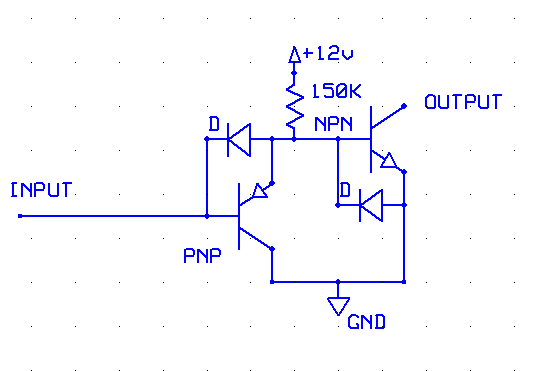 My question is, may i subb in any general op-amp in place of the specified lf 351 ? And can i use the lm 13700 in place of the 3080 safely? i attached a part of the schematics. May i assume that the red arrow is pointing to the audio input? and what's the symbol the green arrow is pointing to? Someone tried to stripboard the filter but i havent heard about the results. (note added by Blue Hell - also see http://electro-music.com/forum/post-429545.html#429545) - please correct me when I was wrong.